VIDEO - WILL YOU REACH THE TOP? 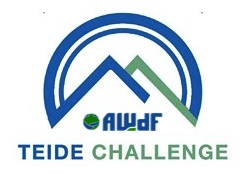 We are running the Teide Challenge through Just Giving, as soon as you decide you want to attempt the challenge, please sign up to Just Giving and search for AWdF in the list of registered charities. Teide Challenge t-shirts are available for those attempting the climb. These are available for £12 - if you would like one please let us know your size and you can purchase one on arrival. Thanks for taking part, and good luck! !